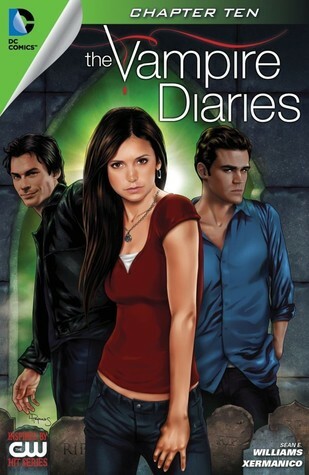 I'm glad to see Lexi and Stefan adventures, but I don't think they illustrated very well Lexi's character. She doesn't look like that in the show. Sean E. Williams Xermanico Rex Lokus Lawrence Reynolds - SEAN E. WILLIAMS is the NEW YORK TIMES Best Selling writer of FAIREST: THE RETURN OF THE MAHARAJA for Vertigo, THE VAMPIRE DIARIES and SENSATION COMICS FEATURING WONDER WOMAN for DC Comics, and co-creator/co-writer of ARTFUL DAGGERS for Monkeybrain Comics and IDW Publishing. You can find him on Twitter at @sean_e_williams and at his blog at seanewilliams .